signs of medications that may affect the eye. 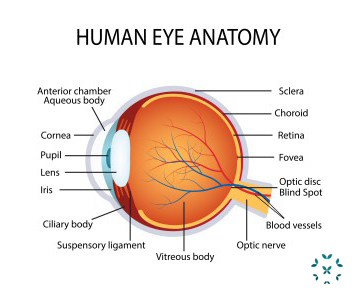 The eye is one of the most specialized organs in the body. The eye is the last thing to develop (it even changes after birth) and the first thing to deteriorate. It is considered an “immune privileged” organ because the immune system protects it more so than other organs in the body (brain, ovaries and testes also fall in this category). Even with this special protection, diseases like lupus and rheumatoid arthritis can still affect the eye. The “blood ocular barrier” is the protective effect that the eye has created over time to minimize inflammation and protect itself from infections by allowing some access of the immune system to the eye. 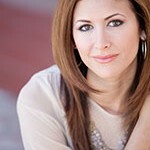 The reason I was inspired to spotlight lupus and the eyes is because I was recently diagnosed with iritis. Having had SLE for 25 years now, and having been on plaquenil for 15 years, I have never had eye involvement until now. Living with this on-going condition, it reminded me, once again, about how crucial it is to stay vigilant about seeing your eye doctor every 6 months and how important it is to follow-up immediately if you are experiencing any eye symptoms or change in vision. The Pupil: The black hole in the middle of the eye which opens and closes depending on its exposure to light. The Iris: The colored part of the eye that allows the pupil to let in the right amount of light. The Sclera: The white part of the eye containing collagen and elastic fiber. The Cornea: The thin outside layer of the eye that is connected to the sclera that protects the lens. The Retina: A layer of tissue located in the back of the eye where light comes in from the pupil, is projected, and interpreted by the optic nerve. The Choroid: A layer of vascular connective tissue of the eye that lays between the retina and the sclera. The Anterior & Posterior Chambers: The two fluid filled chambers that divide the eye. The anterior chamber is located behind the cornea and in front of the iris. The posterior chamber is located behind the iris and suspensory ligament of the lens and ciliary processes. The Conjunctiva: The conjunctiva lines the inside of the eyelids and covers the sclera. The Optic Nerve: The optic nerve connects the eye to the brain by carrying electrical impulses that are converted into the things that are seen. Sjögrens Syndrome:An autoimmune disease where the system attacks the glands that make moisture for the body, such as tears and saliva. This results in dry eyes and dry mouth. Uveitis: Painful inflammation of the uvea, which is the vascular the middle layer of the eye. Iritis: Inflammation of the iris, the colored part of the eye. Inflammatory Conjunctivitis: Conjunctivitis is swelling (inflammation) or infection of the conjunctiva. Vasculitis of the Retina: Inflammation of the tiny blood vessels of the retina. It can range from mild to severe and even cause complete blindness. Discoid Lupus: The eyelid skin can be affected by discoid lupus and can cause the loss of eyelashes. Scleritis: Inflammation in the white part of the eye (the sclera) that causes a yellow discoloration in one or more areas. This is more common in those who have rheumatoid arthritis than those who have SLE. Immunosuppressants: These drugs (such as methotrexate, cellcept, imuran and benlysta) can increase your risk of infection, even in the eye. Conjunctivitis is a common eye infection that causes redness, pain, tearing of the eyes and discharge or crusting around the eyes. Steroids: Although steroids can be used to treat eye conditions, the longer a person is on them, the higher their risk is for developing glaucoma or cataracts. Unfortunately, glaucoma does not have a sudden onset of symptoms. It is a gradual loss of vision. Visual Acuity Test: During an eye test, eye doctors use eye charts to measure how well you see at a distance. 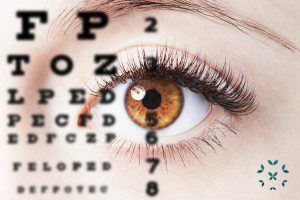 The visual acuity test is used to determine the smallest letters you can read on a standardized chart (Snellen chart) or a card held 20 feet away. Visual Field Test: is a method of measuring an individual’s entire scope of vision, that is their central and peripheral (side) vision. Refraction Assessment: is an eye exam that measures a person’s prescription for eyeglasses or contact lenses. Slit-Lamp Exam: A slit lamp exam is used to check your eyes for any diseases or abnormalities. Indirect Ophthalmoscopy: This test, which is also called a funduscopy, is a test that allows a health professional to see 15 times magnification. Applanation tonometry: Is a test that measures eye pressure. Elevated eye pressure is a concern because it is one of the main risk factors for glaucoma. High pressure inside the eye is caused by an imbalance in the production and drainage of fluid in the eye.